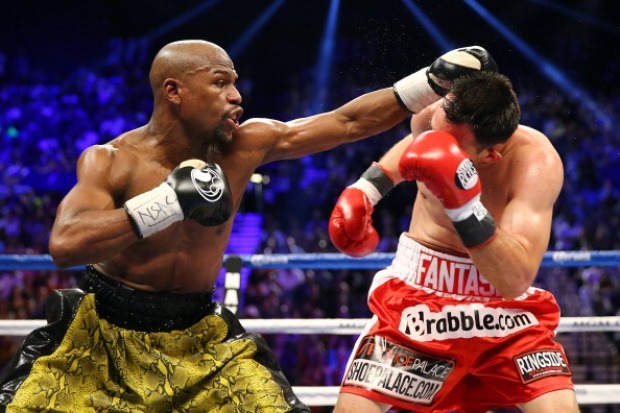 Robert "The Ghost" Guerrero has the fight of his life on Saturday against Floyd Mayweather Jr.
Floyd Mayweather Jr. may be undefeated. But he's no Ghost -- which means he's the underdog in Gilroy, home of Robert Guerrero. Guerrero, 30, will fight Mayweather at the MGM Grand in Las Vegas on Saturday night for the WBC and Vacant Ring Magazine Welterweight titles in Las Vegas. He "carries the spirit of his hometown with him wherever he goes," the San Jose Mercury News reported. Nicknamed "The Ghost" for his ability to land punches and then vanish -- off to his opponent's side -- Guerrero still lives in downtown Gilroy, and the town of 49,528 people, perhaps known better for garlic than boxers, loves him. 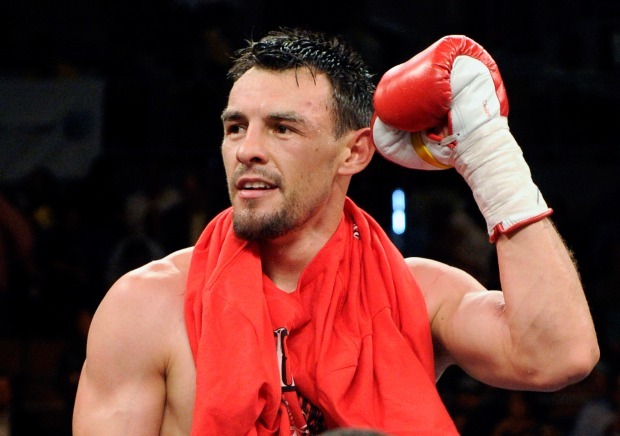 Win or lose, May 18 is Robert Guerrero day in Gilroy, when the fighter will be feted with by Santana and the city leaders, the newspaper reported. He's beloved because he "symbolizes the heritage of those who worked the fertile fields of this town," the newspaper reported. His grandfather was a professional boxer, and Guerrero's father, Ruben, who taught his son the fundamentals of fighting, is a two-time Golden Gloves winner. The Ghost was the youngest competitor for a spot on the US Olympic team in 2000, at the age of 16, and turned pro two years later. A devout Christian, Guerrero got into trouble last month when he was arrested at New York City's Kennedy Airport for trying to bring an unloaded handgun onto a plane. The gun was in a locked gun box and was registered in California but was not legal to bring into New York. He had planned to visit a shooting range in Las Vegas as part of his unwinding routine.